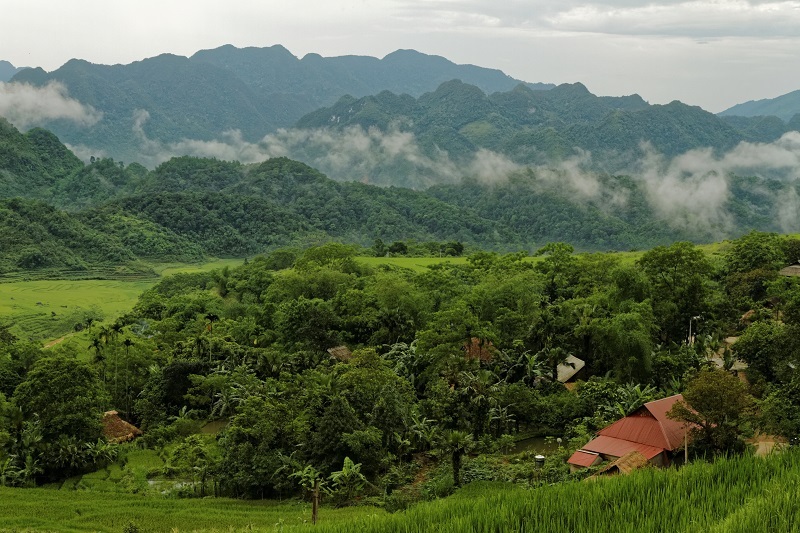 You should visit Pu Luong in the two most beautiful periods of the year: May- June or September – October. The time of May- June is the start of a new crop of rice, you can see green rice fields interwoven with yellow ripe rice fields, enjoy the cool air in the summer or the light mist in the early morning. September- October is the best time of ripening rice, the peaceful mountain suddenly becomes brilliant, rich, nature and seems to be covered with a attractive yellow color. In order to reach Pu Luong, you should travel by motorbike, as the roads to the village are narrow and very protruding, just enough for two motorcycles to transport, and cars can not move. 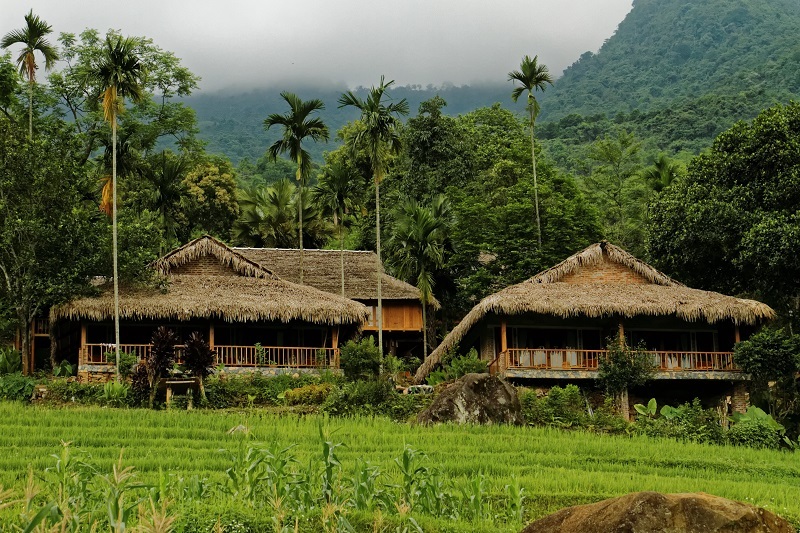 Therefore, Pu Luong is known as a tourist destination with many challenges for backpackers. There are two ways to reach Pu Luong. 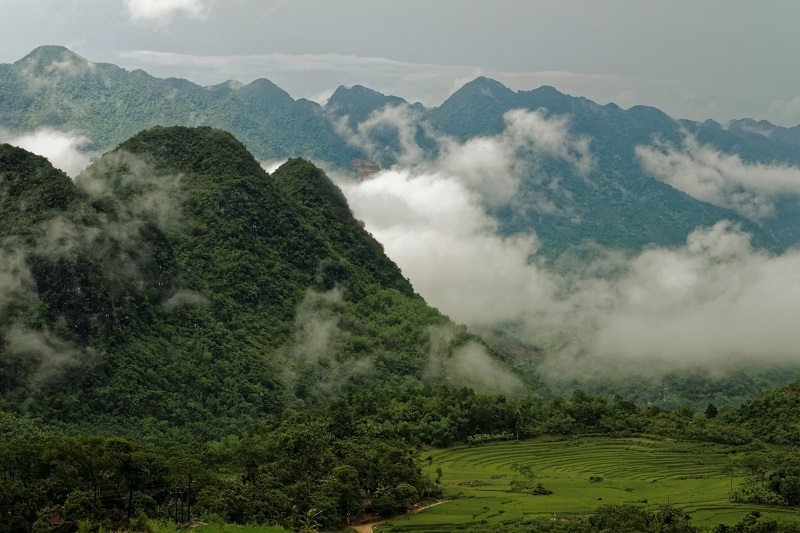 The first one is to go through Mai Chau and Lac village, then ask for the road to Highway 15ºC to come to Pu Luong. The second way is to go from Thanh Hoa, through Cam Thuy then turn to highway 15ºC to Pu Luong. Since there are two access roads from both sides, when going to Pu Luong, young people often go on a road and return on another one, because there are many places to visit along the way. If you have time, you should visit Cam Thuy fish stream. Or, when passing Van Dinh, let’s visit Quan Son if it’s in lotus season because Quan Son is a beautiful lotus pond. Add the Pu Luong Nature Reserve to the list of destinations in your vacation in Vietnam to discover nature as well as have a unique experience in this beautiful country.